The new Baby Jogger City Select tandem is a multi-functional double stroller designed to offer you maximum variation and flexibility so you can choose which mode best suits you at any one given time. 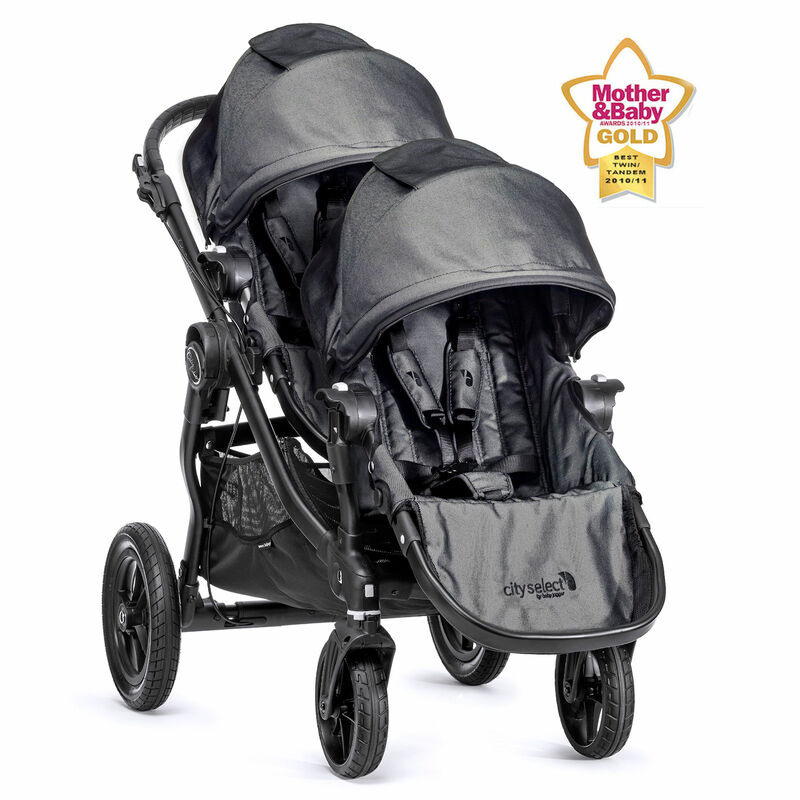 Advantageous over other double strollers, the City Select tandem can quickly adapt to a single pushchair by reconfiguring the stroller so that it only uses one of the two seat units included within the package. 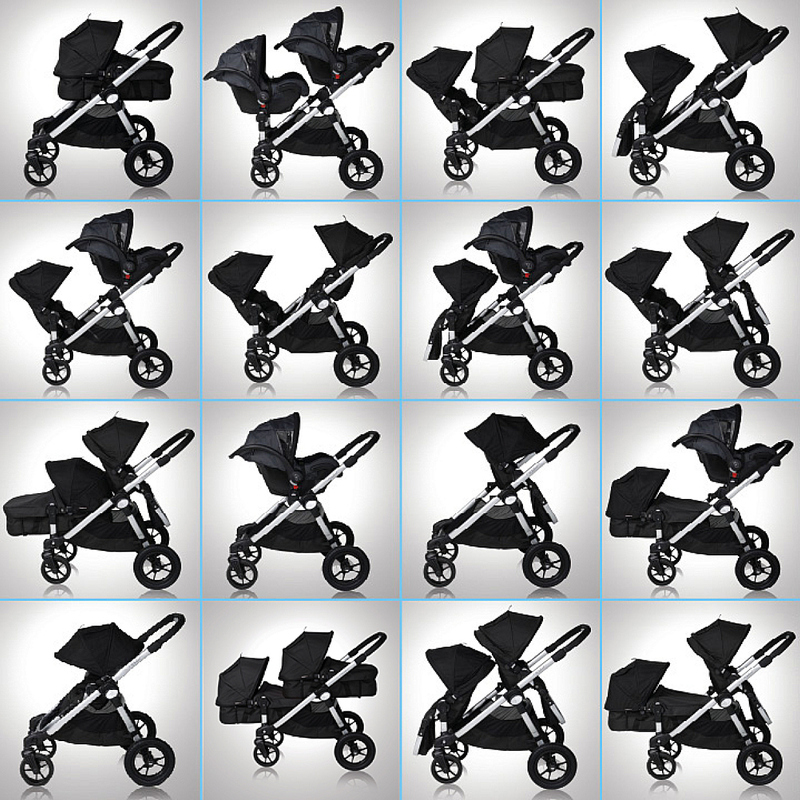 In fact, because of the unique patented attachment method, the Select is able to create 16 different combinations by using the extra seat unit (included), car seats and carrycots (both sold separately) to accommodate twins or children of different ages, each with their own likes and personal ride preferences! 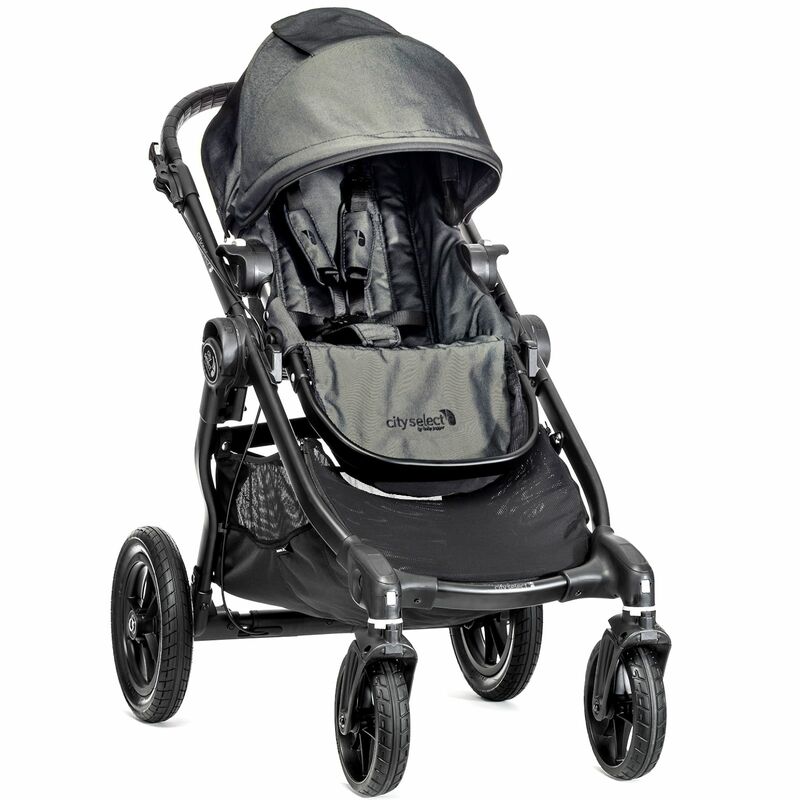 With the same great quality and reliability as all Baby Jogger’s products, a variety of accessories plus the patented Quick–fold technology, you’ll love the premium versatility of the award winning City Select stroller.